With only a weekend to spend in Singapore, my friends and I decided to visit only a few tourist spots. One of which is the Gardens by the Bay. 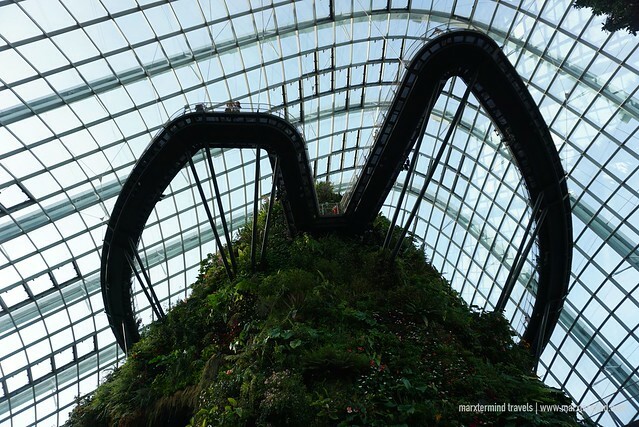 An iconic attraction, this modern nature park is a must place to visit during a Singapore trip. Gardens by the Bay is a huge, colorful and futuristic park renowned for its Supertree structures and modern greenhouses. It also features waterfront parks, conservatories and showcases other themed gardens. Gardens by the Bay is a massive park to explore that has three unique waterfront gardens. First is the Bay South, which is the largest among the three gardens. 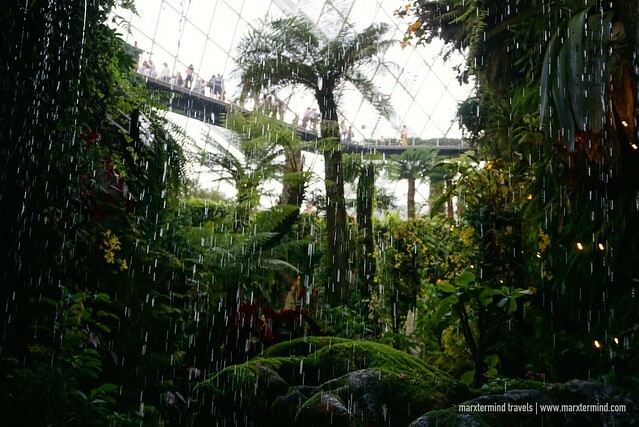 This is where the Supertrees are and other famous attractions such as the Flower Dome and Cloud Forest. The second one is the Bay East, the second largest and on the other side of the bay. It has a green space, which is open to the public. It’s a perfect place to chill out and offers an unobstructed view of the city skyline. The third garden is the Bay Central, which is yet to develop. It will serve as a link between the two waterfront gardens. The Bay Central has a waterfront promenade that also boasts stunning views of the city. It was in the afternoon when my friends and I went to Gardens by the Bay. We thought of giving it 3 hours to tour the area but after considering the number of attractions to cover and the amount of people that time, we realized that we wouldn’t be able to finish it on time. We ended up spending more than 5 hours inside the Gardens. It was already after the light show when we were able to finish. 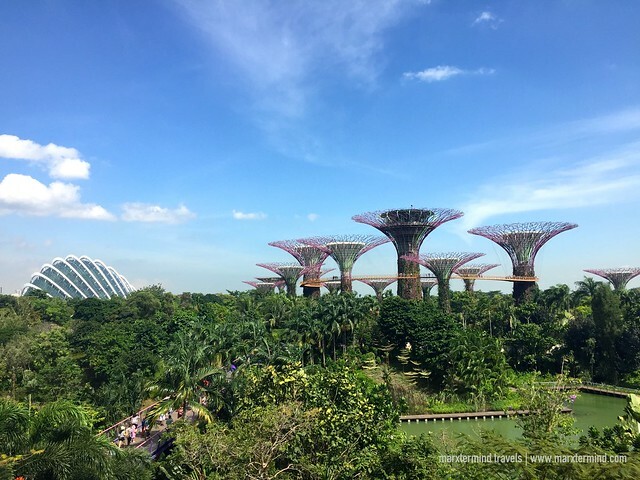 With a total of five hours inside the Gardens by the Bay, here are some of the tourist attractions that we were able to check out. Entering from the side of the Maria Bay Sands, the Dragonfly and Kingfisher Lake was the first attraction that we had seen. This lake is a visual treat in itself with fascinating ecosystem. It encompasses two main lakes that are rich source of aquatic life. It has aquatic plants that also play a vital role in helping to make sure better water quality in the lake. While in the area, don’t also miss the beautiful dragonflies. You can also take a stroll along the boardwalk and discover many secret gems and fantastic photographic spots. The Flower Dome is a gigantic glass greenhouse. It is also air-conditioned so we took our time and enjoyed our visit. We spent almost an hour inside. There are themed gardens with various exotic plants. 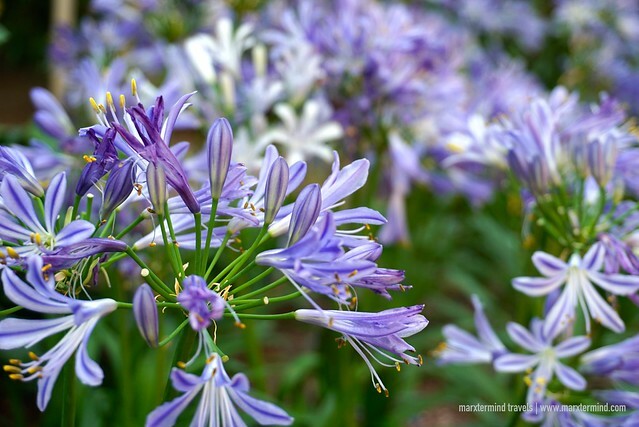 It’s also a remarkable place to see different floras from around the world. The dome also has amazing displays that I found well worth the visit. Cloud Forest is my favorite among the two conservatories. 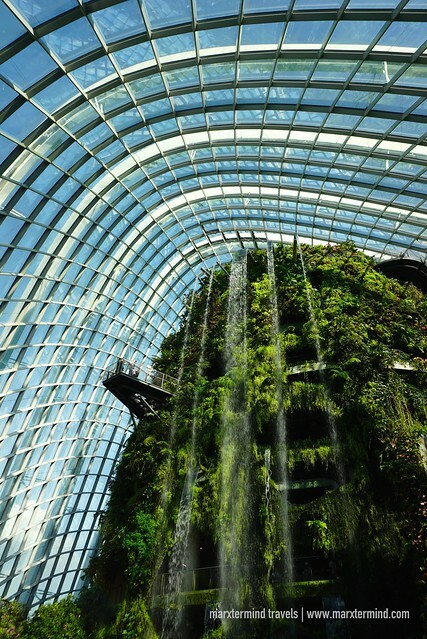 Another spectacular greenhouse, the Cloud Forest features the world’s tallest indoor waterfall at 35 meters named as “The Fall”. It also has diverse vegetation of the tropical highlands and features hidden floral gems. We had a nice walk inside this huge and beautiful greenhouse. It’s an amazing attraction and exploring the area felt like we were in a real rainforest. While inside the Cloud Forest, we were fascinated to see planted walls showcasing some of the best flora. There is man-made mountain forest of trees, greenery and exotic species. The views from the top are also stunning. It gave us amazing views of the entire Cloud Forest. 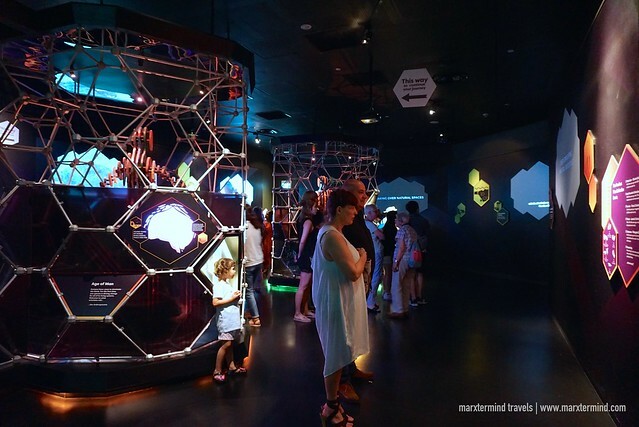 Visiting this attraction is absolutely must. 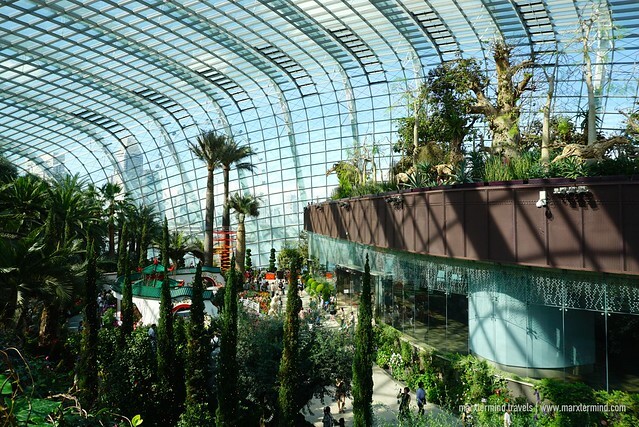 It’s very impressive and one of the highlights of our tour at Gardens by the Bay. The Supertree Grove is one of the most iconic and recognizable attractions at Gardens by the Bay. It has man-made tree-like structures that measures between 25 and 50 meters tall. These are one of its kind and really look magnificently beautiful. The unique trees are all around the Gardens by the Bay. Twelve of which are at the Supertree Grove while the remaining six are placed at the Golden and Silver Gardens. Happening twice daily during the night, Gardens by the Bay also has a light and sound show. 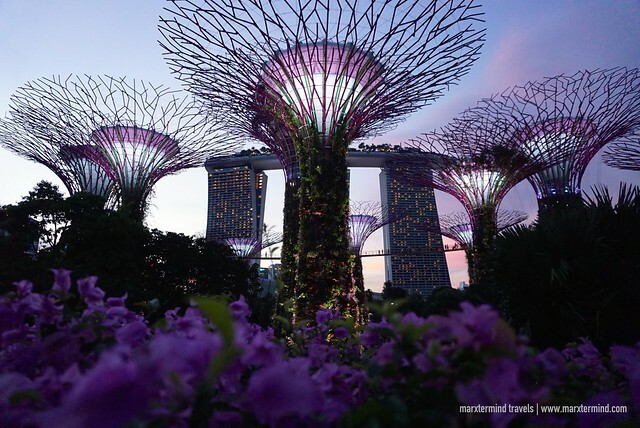 It is named as Garden Rhapsody and takes place at the Supertree Grove. The show is an exhilarating display of light and sound that lasts for around 15 minutes. 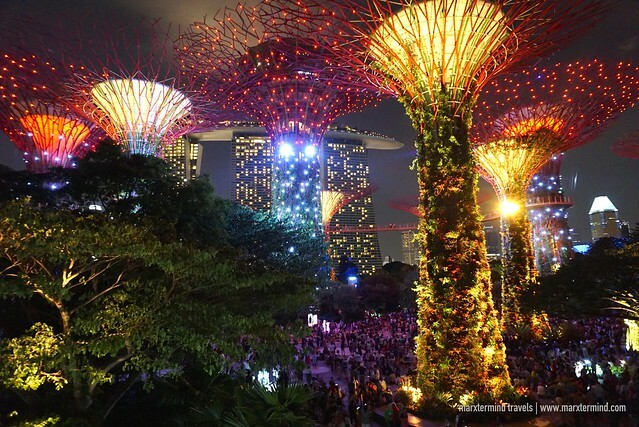 It also transforms the Supertrees into a spectacle of colors and dancing patterns of lights. 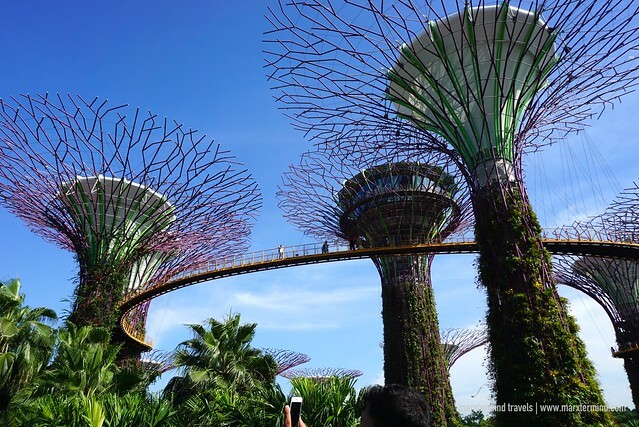 An aerial walkway 22 meters above the ground, this short walk through Supertree Grove offers close-up views of the twelve vertical gardens or the Supertrees. We went here after watching the Garden Rhapsody. 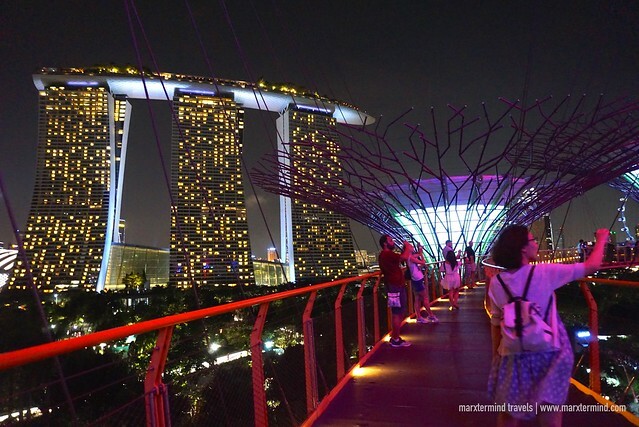 The great night view of the Gardens by the Bay and the Marina Bay skyline from the skyway was really astounding. We enjoyed the scenic stroll. Next time that I’ll visit Gardens by the Bay, I’ll try this attraction during daytime. 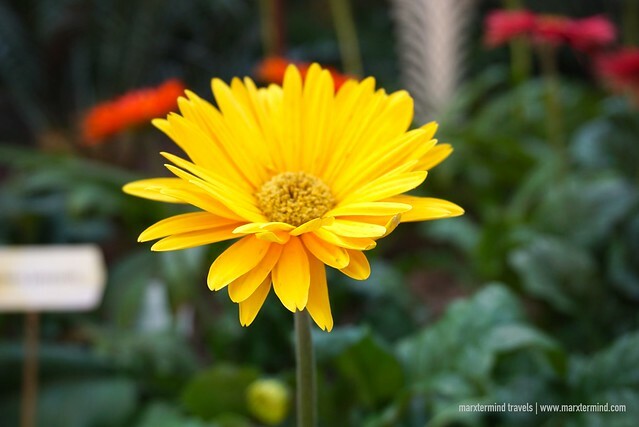 Visiting Gardens by the Bay was one of my favorite things that we did during our Singapore trip. We had an amazing time exploring the Gardens from day to night. 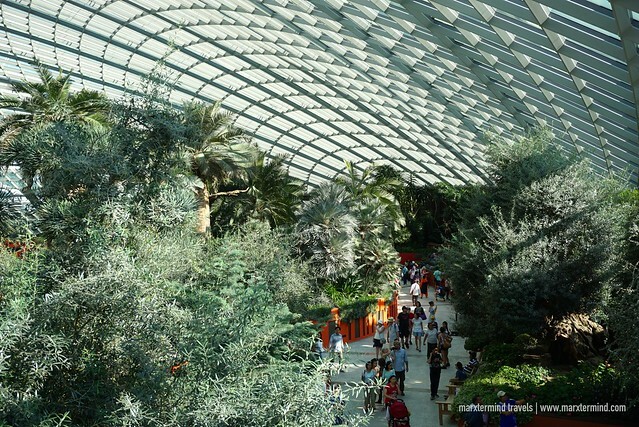 We were stunned by the futuristic trees, massive greenhouses and other beautiful themed gardens. The entire place is huge and has a lot of interesting spots to see. 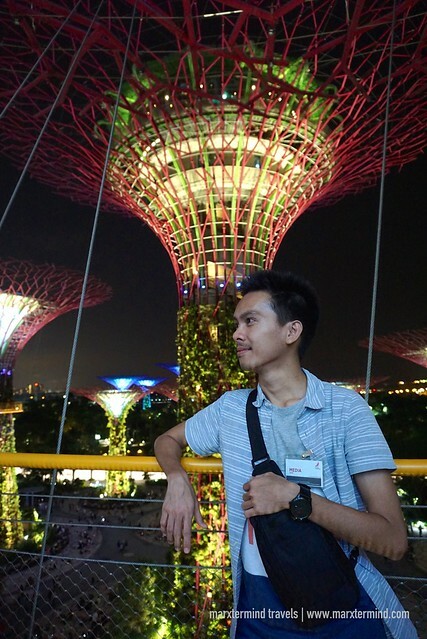 When in Singapore, Gardens by the Bay is definitely one of the highly recommended tourist attractions to visit. 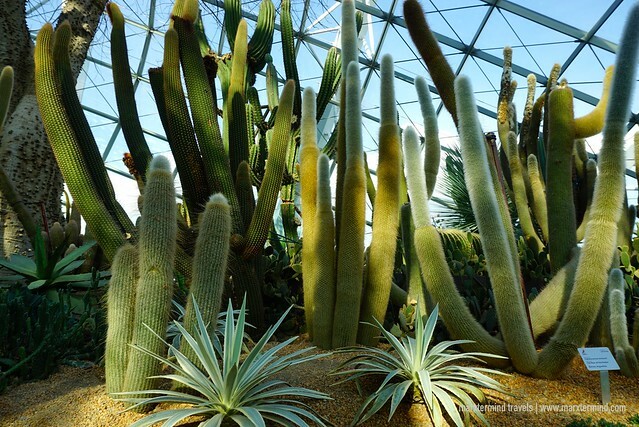 Gardens by the Bay is a modern nature park that spans a total of 101 hectares of reclaimed land in Singapore. It is located next to the Marina Reservoir. 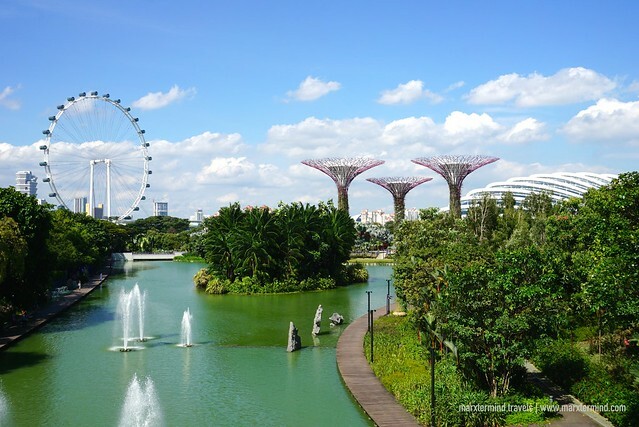 The park features waterfront gardens and other attractions such as the Supertree Grove, Cloud Forest and Flower Dome to name a few.